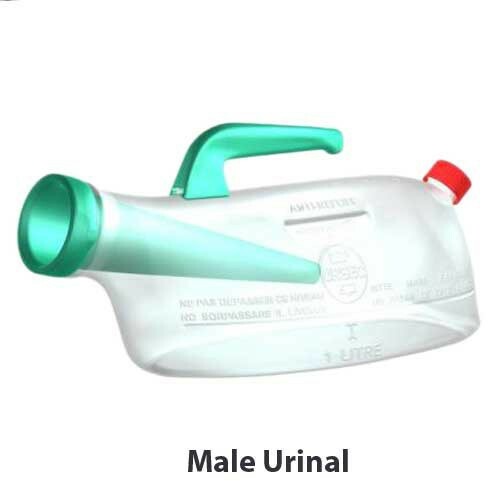 URSEC Spill Proof Urinal is a plastic urinal designed to be completely spill-proof. 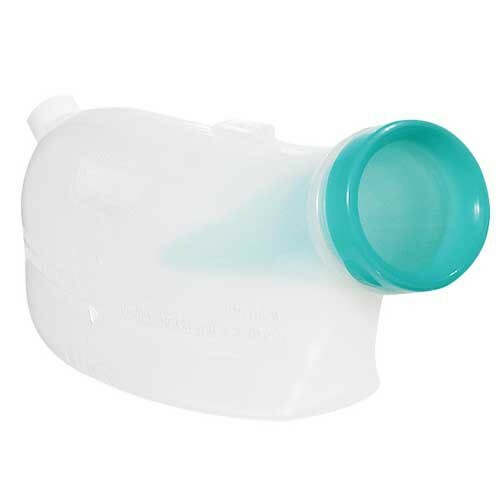 This plastic urinal does not have a lid like regular urinals; instead, this urinal bottle is equipped with a revolutionary anti-reflux system that prevents spills. URSEC Spill Proof Urinal is made with stain-resistant plastic to allow users to see when the container needs to be emptied. This urinal bottle has a visible "full" line and can hold up to 32 oz. 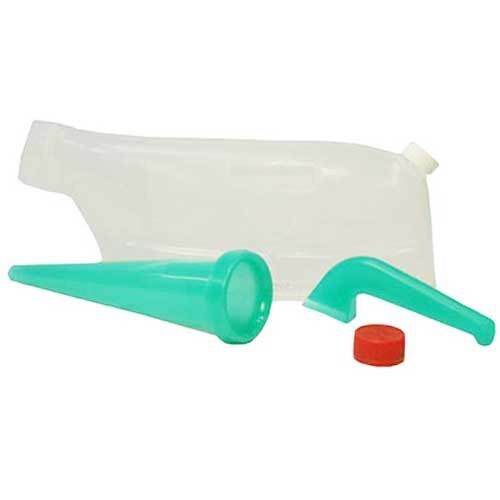 Easy to clean (simply use soap and water), this urinal is a great spill-proof container that can be reused. 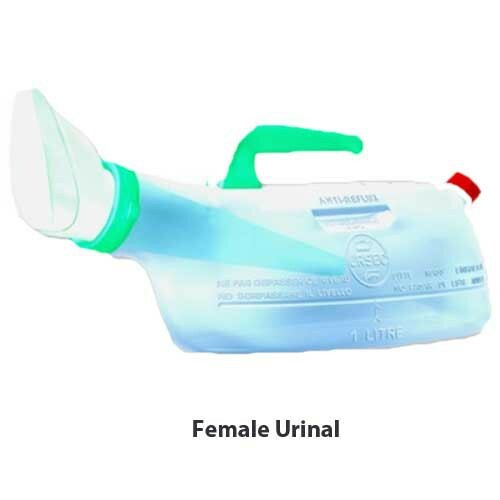 You might also be interested in similar plastic urinal supplies and products that we carry, such as Male Plastic Urinal. Needs no lid and has an anti-reflux system that prevents spills. Stain-resistant plastic lets you see when emptying is needed with a visible "full" line. This Providence spill proof urinal is exactly what my husband needed. I ordered on line and it came in just a matter of a few days. Thanks Vitality Med for such great service. The product works well, but needs indentations on the sides for a persons legs. It is well made, but a little too wide, to be comfortable overnight. Does clean easy. Does not spill, just as promised. 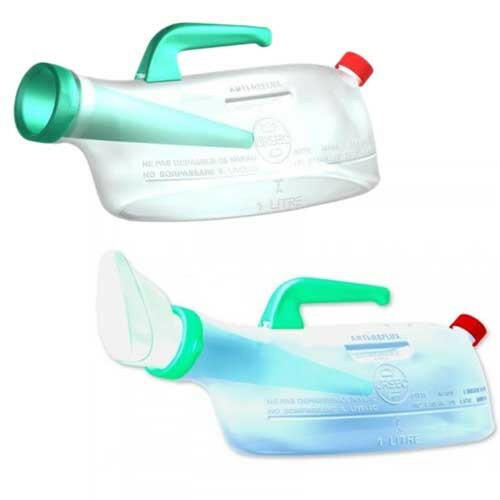 Being unable to get outfoxed at night I needed a urinal that would wtrutruly be spill proof clean and clean easily I found it. I bought 2 of these for my husband after he had a massive stroke. He can use these urinals any where, without needing help. I recommend them to anyone that has to use urinals. Quite large and clumsy. The handle doesn't allow for it to rest on a bedside cane for easy use. Really not as much room in the container as expected. A bit disappointed for the price! The product works well up to a point and that point is slightly less than halfway full. After that, it backs up. It owuld be helpful a note to that effect were enclosed. Excellent, except for one small leak. handy to use. The only problem I found with this unit is that the blue receiving tube does not fasten tight enough the keep it from leaking. I have used considerable force to tighten it, but it still leaks. So I have to make sure that the blue end of the unit never gets tilted below the liter fill line on the side of the bottle. I use this for myself. I have minor incontinence, which means that I can still feel my need to pee but find it hard to control it until I get to the nearest bathroom. So I keep this under my bed. 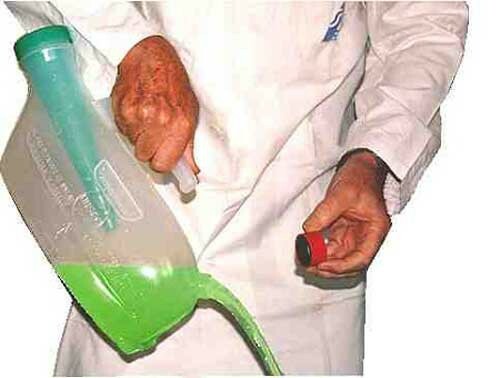 All I need to do it to grab it whenever I feel the need to pee.